Factory Direct Pricing. 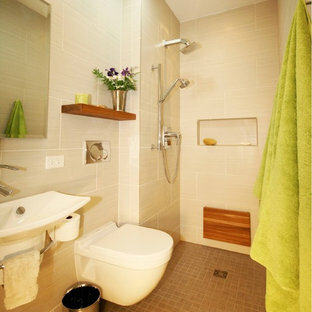 Please Call 415-644-5888 to visit our Showroom or to get for more info. Please visit our website at www.badeloft.com. 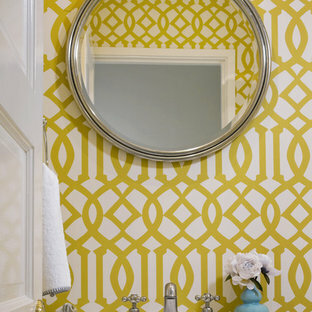 Our showroom is located at 2829 Bridgeway Sausalito, CA 94965. Photos Owned by Badeloft USA LLC. 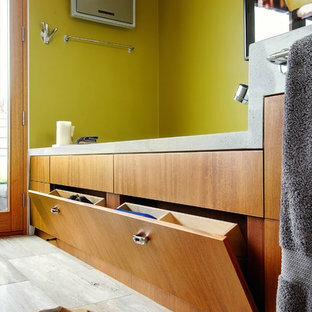 This large bathroom remodel feature a clawfoot soaking tub, a large glass enclosed walk in shower, a private water closet, large floor to ceiling linen closet and a custom reclaimed wood vanity made by Limitless Woodworking. 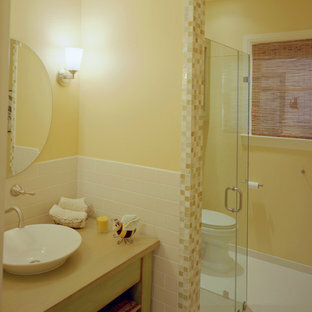 Light fixtures and door hardware were provided by Houzz. 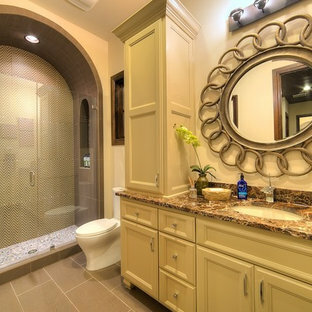 This modern bohemian bathroom also showcases a cement tile flooring, a feature wall and simple decor to tie everything together. Builder: Segard Builders Photographer: Ashley Avila Photography Symmetry and traditional sensibilities drive this homes stately style. Flanking garages compliment a grand entrance and frame a roundabout style motor court. On axis, and centered on the homes roofline is a traditional A-frame dormer. The walkout rear elevation is covered by a paired column gallery that is connected to the main levels living, dining, and master bedroom. Inside, the foyer is centrally located, and flanked to the right by a grand staircase. 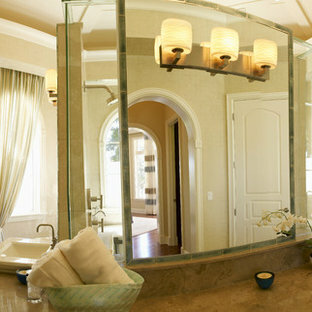 To the left of the foyer is the homes private master suite featuring a roomy study, expansive dressing room, and bedroom. The dining room is surrounded on three sides by large windows and a pair of French doors open onto a separate outdoor grill space. The kitchen island, with seating for seven, is strategically placed on axis to the living room fireplace and the dining room table. Taking a trip down the grand staircase reveals the lower level living room, which serves as an entertainment space between the private bedrooms to the left and separate guest bedroom suite to the right. Rounding out this plans key features is the attached garage, which has its own separate staircase connecting it to the lower level as well as the bonus room above. 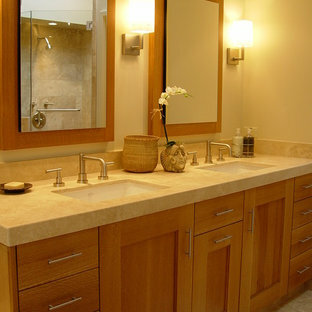 Hall bathroom featuring Quartz countertop, lower pull out drawers, and wood wall treatment. 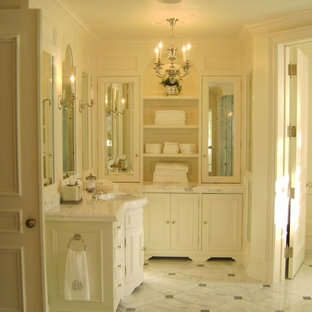 A stylish and uniquely designed hall bathroom that everyone will love. 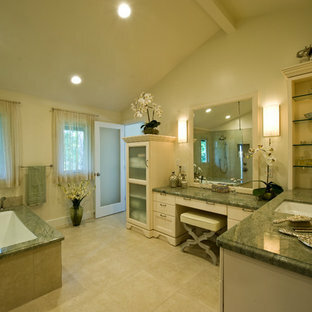 By Regency Construction Company, Inc.